Located within an iconic development in the heart of St Kilda Road’s business precinct, suite 402 at The Jewel is a spacious open plan office, great for up to 8 people with an abundance of natural light. 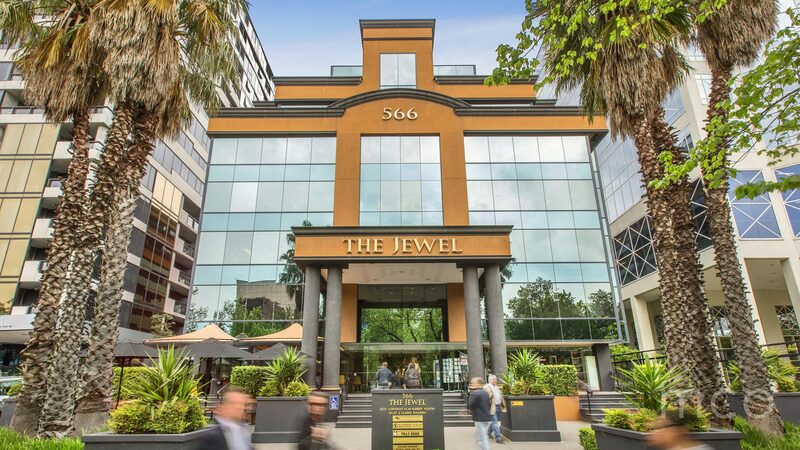 The Jewel provides tenants with secure 24/7 access as well as an on-site café and is situated near Albert Park Lake and Golf Course, conveniently located just 5 minutes away from Melbourne CBD. With major tram routes and arterials on its doorstep, The Jewel is only moments away from the entertainment and dining precincts of Chapel Street and Toorak Road.